This charge controller disconnects the solar panel from the battery to avoid the reverse current flow from the battery to Panel during night. It is retrofit charge controller that converts regular UPS or Inverters into Solar UPS or Inverter. 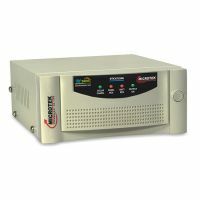 This charge controller senses the battery full-charge voltage and it cuts off the battery from charging, when it reached full charge status. It reconnects the battery if the battery charge drops to a preset level. To Recieve updates and possible rewards for Microtek SMU-6012 please sign in. To Recieve updates and possible rewards for Charge Controller please sign in.